Three years. Since I last came in this group of islands I called my second home. Not really long, but I have promised to be back again. I have missed its tranquility and stillness. There are so many issues at the back of my mind that needs to be soothed by pure serenity, as if to disconnect. I randomly decided to be home once more. Coming here is always a wet pursuit but I love the waters, its turquoise and emerald surroundings always gave me a warm welcome! Again, the hop was just brief but it was some kind of a retreat. This is my favorite spot and I always come here to visit my jelly friends. Last time there was none, it was fortunate they were around, although it was not yet in full season, but its good to see them again. Swimming, floating, pulsating on the emerald waters. 🙂 I can’t help being with them, but you need to be careful not to disturb them. Just float and swim without flinging one’s limbs – the proper way to interact with this invertebrate. So soft, so gentle – I simply love them! I scampered up the boat when Brandon (my boatman) begged me to come up when he noticed other guests are coming. Swimming with the jellyfish is not allowed anymore! 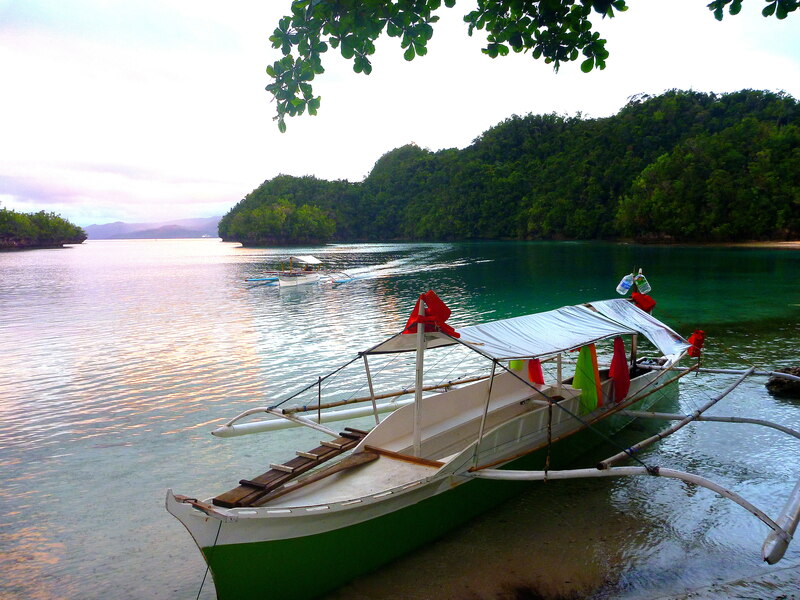 I can’t imagine how our boat maneuvered getting inside Sohoton! 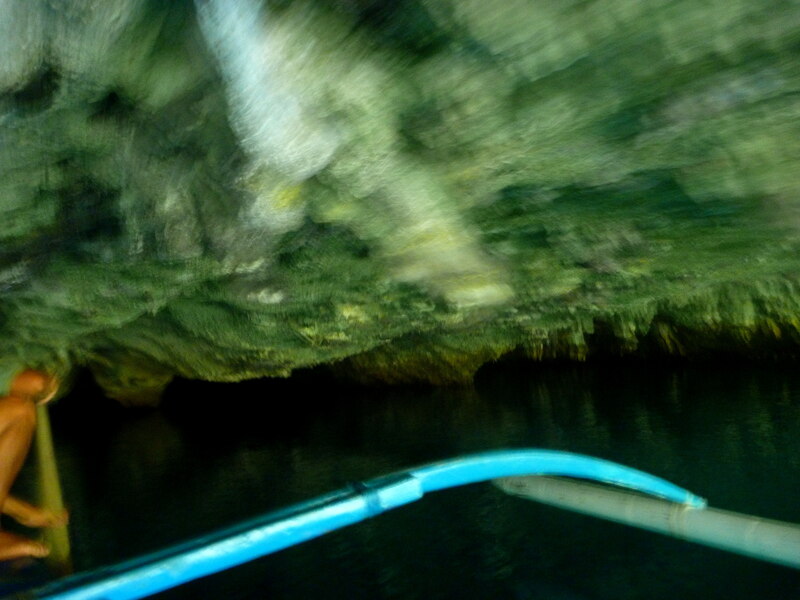 Hagukan Cave can only be viewed by swimming down and holding breath for at least 10 seconds! The two caves inside the cove are worth coming again but you must need to be comfortable in the waters. It was new moon when I got there, so the waters movement was quite slow and even if it was low tide, the waters are still up but the good thing is, current was almost non-existent. 🙂 If you have entered Hagukan before, you knew about the rock in the middle of the lagoon, where you could stand to rest from swimming. Well, it was too deep to stand on, it was floating and swimming all the way! The entrance was to the brim! Above my head are fossilized sea shells. Can you see the fruit bats? Clear water inside the cave. Like a mirror? Magkakakaub Cave is another challenging – rock climbing and that big splash to the Water! I came in here more than five times, in those instances I can walk inside without soaking my body but this time I was swimming inside. It was amazing how it could change with the moon’s movement! The water front of Cinnamon Island! The community always welcome me even how short the notice was – DA always arrange everything with no fuss. My boat has been waiting several hours before I arrive at Port Hayanggabon. Roldan, Raffy, Renan, Jun-jun, Brandon, Chelyn were just few who would be willing to sit for some leisure talk and dine with me even if they have other chores to do. Most importantly, I can laze around to all my heart’s content. The wide horizons, the orange sky, the cicadas, the roaring waves and the dark nights. Just immersing myself with simple things that give pure joy. It was another drenching visit in my home, which was purely cathartic to me. And I will be back again, it’s a promise. 1. Vans going to Port Hayanggabon, Claver is available at Bad-as, Placer. Multi-cab/jeep also can be found at Surigao City bus terminal. 2. Last trip boat (public utility) from Port Hayanggabon to Socorro town is 4pm. 3. Consider the Moon cycle when visiting the islands, tide and current movements should not be taken for granted. 4. Lodgings with generator have electricity 6:00pm to 12:00 midnight only. 5. Cellphone signal which is not necessary actually, is almost non-existent! 6. When you visit Bucas Grande, please patronize the community-managed lodgings in Cinnamon Island, SIFAI, Green Cove and Titktikan Lagoon. Always arrange your visit to the island through the local tourism unit. 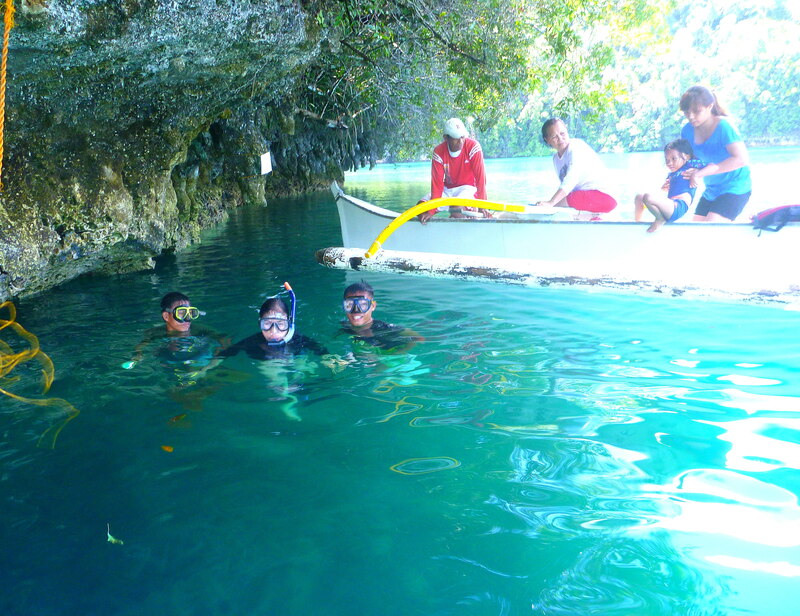 I revisited the enchanted Sohoton (in Siargao Island) last Saturday to once experience the wonders & challenges in the cove. Just like my first trip, it was a crisp downcast morning which is unusual during summer but not in Siargao – it could rain anytime. Before we had breakfast, it started to rain already. The two other guests (Cara & co.) from Manila whom I have convinced to join us (to save boat rentals) withdrew fearful of the rains. I told them it will stop later – even before we could reach the island. But to no avail, they’re scared as they don’t know how to swim. 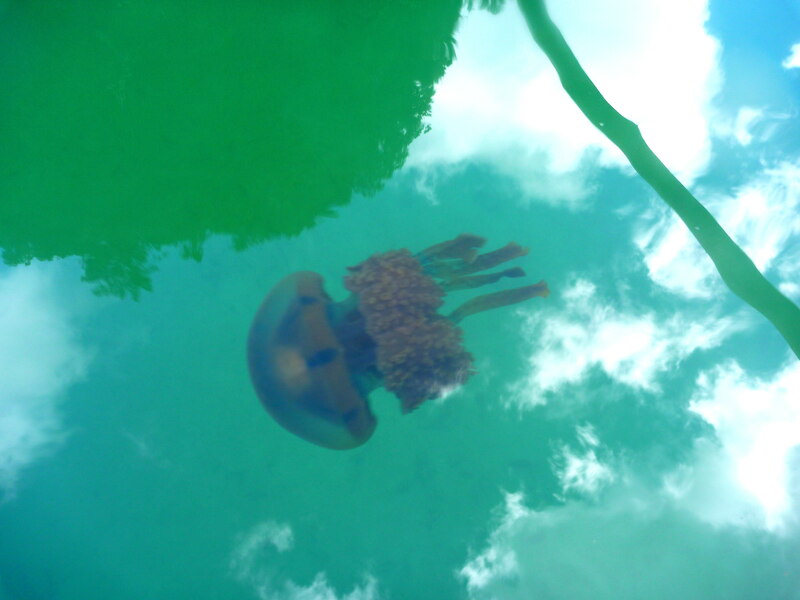 Our host informed me of something new in Sohoton – the jellyfish lagoon. Actually it’s not new, they just failed to mention it last time and the occurrence of jellyfishes is seasonal. 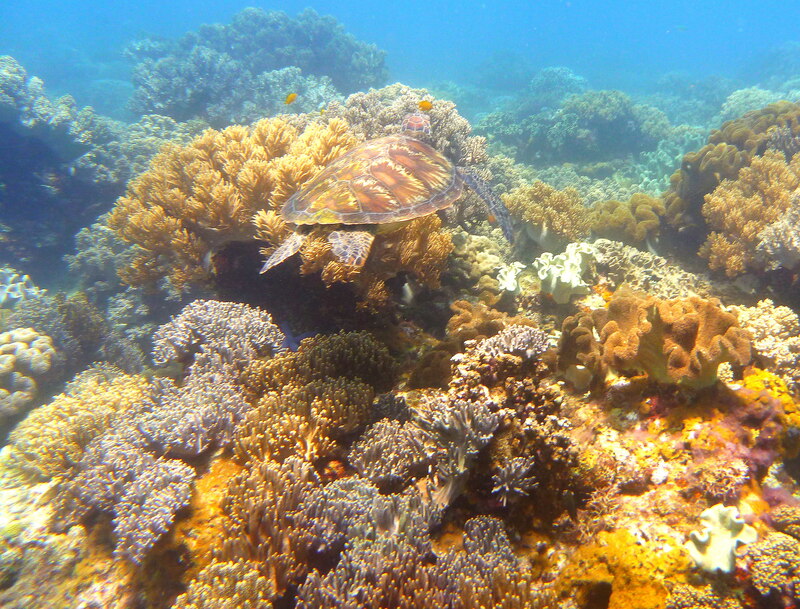 I decided to bring along my mask & snorkel to try a close encounter of the jellyfishes. So after a rush breakfast , we took off. Rains, waves, winds were with us as we cruise silently to Bucas Grande. I love the sights along the way – vast ocean, islands, fishers on their boat, blue waters, blue skies, green mountains, etc. The rough waters of Siargao is not unusual but we arrived safe in Sohoton. The caretaker mentioned it was timely for us to come as there were so many guests the previous day, the cove was flowing with people. We got into our cute bancas, I paddled with the guide to the lagoon. We paddled fast at the entrance as the surface current was bit strong. Getting inside, I watched in awe of the sight before me – a quiet green lagoon with lush green vegetation on the side. If you could see those brownish thing (at the photo above) on the waters, those are the jellyfishes! By the way, they’re stingless. I was thinking of white ones just like what we saw in Calauit. I learned there were brown, even bluish ones. 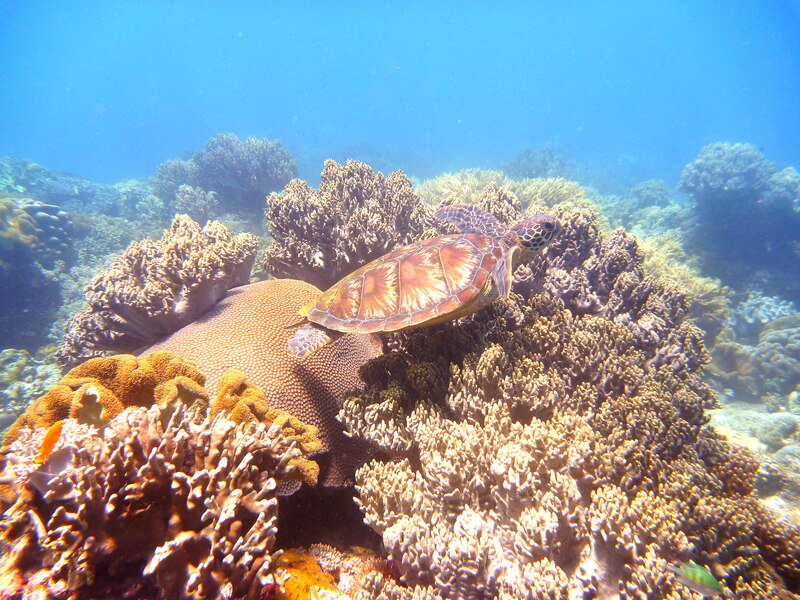 It was so tempting I asked the guide to go down for a snorkel – it was beautiful! Getting up close with small, medium, large jellyfishes and swimming with them! I could watch them move like they’re breathing or maybe shouting at me not to go near them! So many of them floating on the waters. 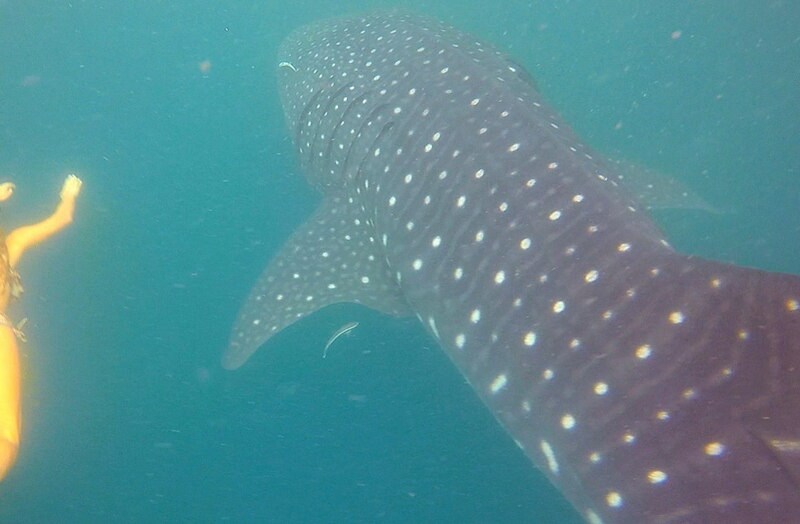 The guide said there were much more in the past days but due to many guests, it disturbed them and choose to remain down under. 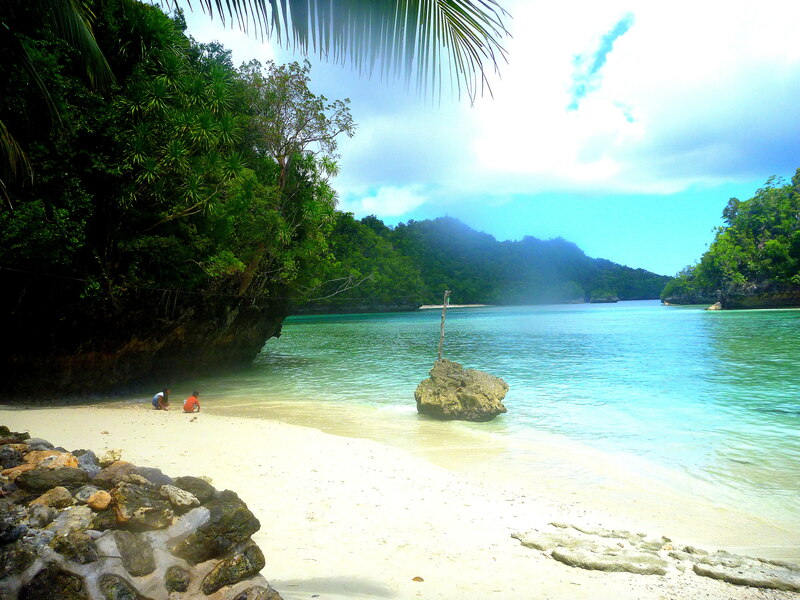 I swam for awhile savoring the serenity and beauty of the lagoon. I was wishing I had an underwater cam so I could get photos. The clear waters with the jellyfish, few corals, sea urchins would be so perfect. And I could see the lagoon floor, it would be so ideal for photos…. I was so engrossed I realized my sister & friends have gone, I can’t see them anymore. The guide summoned me to the sides so I could get back into the banca. Time was up we need to rush to the cove before the high tide.